Wow, you continue to be 150% of walking, talking, blogging awesomeness!. I love these cloth bounds - I still can't believe you have the whole set, you lucky duck! Okay, to the question - what is my favorite classic? Well, like you, I'm trying to read my way through all of them (which will probably never happen) but, I'm a loyal person, so I think I have to name my favorite as the first one that really "turned me on" to classic literature - and that would be The Mayor of Casterbridge by Thomas Hardy. I read this book during my second semester of my Junior year of college. I had just changed my major to English and was wondering if I made the right choice. Along came this 18th-19th Century British Lit. class, and all was settled. Yes, I had a great teacher, and we read a number of amazing books (Robinson Crusoe, Pamela, The Mill on the Floss, etc. ), but the one that really decided my direction for me, and which ultimately satisfied me and settled me in my major (and sent me off to graduate school for English just a year later) was definitely Mayor of Casterbridge. Am I really first? :D Me Likey that. Wuthering Heights. Though I have a love/hate relationship with me. I totally credit my first reading of it my senior year in high school for turning me into a passionate classics lover and for prompting me to get my degrees in Literature. But those characters are so damn dispicable! But, I always credit Ms. Bronte for all this mess--without her "I AM Heathcliff" I'm not sure where I'd be. ;) Ha!! I really love Tess of the D'Urbervilles and anything else by Thomas Hardy. I know he's incredibly depressing, but I love how hard-hitting he was in sending a strong message. Great challenge with a great prize! Commend, commend! Anywho, in answer to the question, I'd have to say The Count of Monte Cristo by Alexandre Dumas. It was the first real classic that I read that I absolutely loved. Of course I had read other classics for classes etc, but they all felt like the assignments they were -- tedious and boring. The Count, however, was different. I realized that I do love classics, and it made Dumas jump to the top of my then teenage favorite author list. I am still in love with his writing, and even though they might not be deep, he writes one fantastic novel. I wish some of his lesser known works were more circulated-- they definitely rival his blockbusters. @Becky - Nice! I picked Hardy too. @She - Thank you for that post - I just purchased The Count of Monte Crist, after debating for some time which of his "big three" (Count, Musketeers, or La Reine Margot I should buy, since I've never read Dumas. I'm happy/confident in my choice, now! My favorite classic is also Wuthering Heights. I was probably much too young when I read it first, around eight years old (I liked authors who had the same name as me). But I read it over and over again and still pick it up every few years. It definitely turned me on to classic literature in general. And this is a scary admission, but it also helped me feel better about my own disfunctional family. Definitely Anne of Green Gables. It's the first book I ever opened that was magical to me. I loved Anne from the moment I met her and I still love her today. Gilbert Blythe also remains one of my major literary crushes...Is that a good reason to pick a favorite classic? My favorite classic is The Count of Monte Cristo. It's a huge book, but there is so much going on, it doesn't feel like a chore to read it. It has action, adventure, revenge, romance, mystery, social mores and politics. I would have to say my favorite is Pride and Prejudice! I just love the story and it was the first time I could remember having a book crush. That being said Lonesome Dove also ranks up there (and yes I consider it a classic). It was the first story I got sucked in by from the first page! Allie this is such a great mini-challenge that I'm linking it to my update post. I'm dying to hear what everyone has to say, so I will be coming back reading responses. For me, I'd say Six Character in Search of an Author by Pirandello (I'm assuming plays count?) You can read the whole thing on line for free and it's my hope to reread it this year. (Maybe today?) I love that it questions reality and purpose. And it's so dramatic. I absolutely adored Emma when I read it last year; I didn't realize Austen could be so FUNNY! I giggled throughout. I also have a special place in my heart for The Count of Monte Cristo by Alexandre Dumas, which I read on my own in high school and tore through. This is an amazing giveaway, Ali! Those books are so, so pretty. Jane Eyre. It was the first classic that I read and fell in love with it the first time that I read the book. It spoke to me in a different way that most books haven't. I felt a kinship with Jane and have always felt that way: somebody who was quiet and unsure of herself and considered to be an outsider. I still love the book and the last time that I read it, I read it with the same sort of passion that I read it when I was in Grade 8. I would have to say Alice in Wonderland & Through the Looking glass (those count as 1 right?). I remember memorizing poems from Alice in elementary school and absolutely falling head over heals in love with Carroll's poetry. I'm not one to usually like nonsensical stories, but Alice was the grand exception to that distaste. My favorite classic is Pride and Prejudice. It is the first classic that I read and I fell in love with reading because of it. It is filled with such wit and charm and most importantly, Mr. Darcy. I have read all of Jane Austen's books and enjoyed them all, but Pride and Prejucice will always hold a special place in my heart. My favourite classic (and there are so many!) is Jane Eyre. I only read it a few years ago for the first time and I was blown away by it. I live in Yorkshrie only 45 minutes from the moors where the Bronte's live and this book is set and I love the bleakness, the straight talking of Jane, the passion, oh just everything. It is a thriller, a romance, a looked room mystery, so much going on. Wonderful book! Oh man, that is a tough one. Can I redefine classic? I'm not one to read the usual classic novels, but if I can have some leeway, I'm going to say that my favorite classic is the kids book "King Bidgood's in the Bathtub." As a kid, I would ask my mom to read that book over and over and over again. When I re-read it as an adult, I remember all the great times I had when my parents would read to me. I also love the book's illustrations and imagination. It is a book I will, one day, read to my own children. One of my favorite books is Vanity Fair by Thackeray. I like sprawling big novels like that with lots of character development. Becky Sharp is one of my favorite characters, even though she really shouldn't be likeable. She has a lot in common with Scarlett O'Hara. But, I think there are lessons to be learned from Becky. She goes for what she wants and is determined to her raise her station in life - and she does. But, she goes too far, is too manipulative, too selfish and it eventually catches up to her. It reminds me to go after my goals, but don't get so focused on them that you hurts others or forget what's most important in life. I hoep you start feeling better and get to enjoy the day! My favorite classic is Jane Eyre!!! I have read it 3 or 4 times. I really can't explain why I love it so much, I just do. One of the small things that sticks in my head is the way Jane's artwork is described! My favorite classic is Jane Eyre - such a typical answer, but not at all a typical book. I love the book's atmosphere, Jane's gentle but so observant voice, and the passion that fairly leaps out of the prose. Most of all, however, I adore Jane herself, because she is strong, doesn't let the world get to her, stands up for herself, even in the face of the greatest love she believes she will ever know. Every time I read it, I find something new to admire in it. I can hardly resist such a book - in fact, writing this comment has made me want to read it again (for the sixth time)! But probably not today, as I will want to savor it. Yay! Love this challenge. I have tons of "favorite" classics so I'm going to go with the first one that I loved - As I Lay Dying by William Faulkner. It taught me that classics didn't have to be written in a boring way and completely blew my ideas about classics out of the water. I read it my junior year of high school. You know, I am really ashamed to say that I've read very few of the classics. I just won Jane Eyre the other day and look forward to it! I remember loving To Kill a Mockingbird, and just bought that one the other day to reread. But the one that I really remember enjoying in high school was Wuthering Heights. Unfortunately I don't remember *what* I loved about it, but I've wanted to read it again to remind myself what I liked about it! Wow, those are some pretty awesome books. I love the classics. I enjoy Pride & Prejudice and Wuthering Heights equally as my favorites. However, if I had to pick just one, it would probably be Dracula. I loved Stoker's writing in this one. Brilliant the way he told the story. I really enjoy it. Love this challenge! I've recently found several classics I absolutely love: Jane Eyre, I Capture the Castle, and To Kill a Mockingbird especially. But I have to choose Their Eyes Were Watching God by Zora Neale Hurston (which I hope counts...I'm calling a classic anything older than 50 years!). I read it first in high school and liked it ok, but it wasn't until college, when I reread the book, that I fell in love with it. I loved Janie, loved her spirit, rooted for her as she lived her life. Somehow, that second time through, I GOT it, and Janie's been a favorite of mine ever since. Their Eyes Were Watching God was one of the first classics I actually enjoyed, felt like I could read just for pleasure, which opened my eyes to classics as good books, not just dusty old tomes that are to be struggled through. It's one of the books that inspired my Classics Reclamation Project, for which I've kept a classic going at all times for the past five-ish months. I have read a fair number of classics, but this was an easy one for me. I absolutely LOVE Ethan Frome by Edith Wharton. In only a few pages, Wharton demonstrates her understanding of human vulnerability and creates characters who are incredibly memorable. I hardly ever re-read...but I've read this classic twice, and it is in my stacks for a third read this year. No doubt, it must be Harper Lee's To Kill A Mockingbird. The underlying theme of living a life of honor resonates with me, and I appreciate the integrity that permeates this book. I also have a deep appreciation that Lee recognizes that brutality is not an admirable trait in honesty. It saddens me that she only wrote one book, but she packed an awful lot into the one that she released. And, of course, that celebration of reading: "Until I feared I would lose it, I never loved to read. One does not love breathing." Ohhh, Anne of Green Gables, how I love thee! LM Montgomery began my adoration of books and writing. I spent hours upon hours hidden away reading about Miss Shirley! If not for that book, I don't know if my love of reading would have grown to the proportion it is today - which is quite endless! PS. What gorgeous books those are!! Wow. I think I want them, too. I love so many! I guess Pride and Prejudice is one that rises to the top, because it's just so fun, and perfect and enjoyable. I love all classics for their deep story lines and cool characters. Great question! My favorite classic is probably Pride & Prejudice, though I have to admit that it is in a large part based off the A&E mini-series staring Colin Firth. I have been watching it since it came out at least once a year, and sometimes twice a year. I was watching it when my father told me my grandma died. Anyway, in High School I finally read it and loved it, though I was so attached to the mini-series that I prefer that. I am not really a huge fan of classics, so that is about as good as it gets for me and classics. Such a great blog! Such a nice challenge! Favorite classic? I must admit I don't think I'm... mature (?) enough to respect and love classics, but I did enjoy reading Great Expectations...everything about the characters (Pip and that old lady) was so appealing and likable. Also, Dracula. I am a big horror fan and that book was amazing. I am not a big fan of lots of classics--but does Anne of Green Gables count? I did not read Anne until I was an adult--somehow missed her during my youth. Anyway--I loved her from page 1 and devoured the book, and the rest of the series immediately. I think the love story between she and Gilbert is the most romantic of all time! I have the Picture of Dorian Gray in that edition. It's so pretty I couldn't read it. Had to buy a cheap edition for that, lol. My favourite classic is Great Expectations. I have always loved Charles Dickens but took a while to read this one because I hated al the film adaptations (should have known better). I love it for it's extreme characters. On the one hand you have a Miss Havisham a bitter old woman who uses the young around her to get for her own perverse revenge. On the other you have Magwitch, Pip's benefactor who is trying to write a wrong. Not sure how it's impacted my life other than the fact that I no longer judge a book by the film. Not that I ever really did but in this case the old film is supposed to be a classic. Oh, and it gave me an appreciation of the Miss Havisham character in the Jasper Fforde books. My favorite modern classic is Animal Farm by George Orwell. I really enjoyed the personalities of the characters and the story. I think it is a fantastic book with a great message. I could read it over and over again. The movie...not so much! One of my favorite classics is Beloved by Toni Morrison. I read it for the first time late last year and was in awe. She makes writing look so simple. Another favorite classic is East of Eden by John Steinbeck. That book changed the way I looked at life. Ever since high school, I have LOVED Crime and Punishment by Fydor Dostoevsky. I love Raskolnikov's inner dilemna- he wants to prove his own theory of the superior being but he's entirely guilt-ridden over the murder. It's hard to pick just one favorite classic though so I'll list a few more of mine: War and Peace, Gone with the Wind, The House of Mirth, Atlas Shrugged, Lord of the Rings, The Scarlet Pimpernel, and Tess of D'Urbervilles. The cloth bound books are so pretty! My favorite classic is Jane Eyre. I read it when I was younger (14 or so, and again as a senior in high school) and I just didn't get it. I was frustrated by Jane being so whiny and her love for Rochester bothered me. "You left him!" I'd say to the book. "Get over it!" Still indomitable was the reply--"I care for myself. The more solitary, the more friendless, the more unsustained I am, the more I will keep the law given by God; sanctioned by man. I will hold to the principles received by me when I was sane, and not mad--as I am now." I love this book now. I think it's the kind of book you have to grow into. When you're younger, self-assurance is easy. Adulthood makes self-confidence an acquired skill. Hands down, The Picture of Dorian Grey. Oscar Wilde is one of my top idols and you can find at least one awesome quote for every page. And, not to forget, it takes place in my favourite era of history ever. It made me reconsider the entire concept of art. As an art lover (no matter what kind) that was really meaningful and thought-provoking. If all art is quite useless, couldn't one claim that the uselessness of something (on a physical plane) is what makes us truly happy? I don't know that I could choose just one book. Not even one favorite author! I just love to read classics. But if I *had* to choose, I'd go with Frankenstein. Frankenstein is all about what it means to be human. And it took a monster to do that! I learn something new each time I read it--it's one of the rare books that I try to make time to reread each year. What an awesome challenge and the prize is AMAZING!!! I would have to say that Little Women is probably my all time favorite. I have read a lot of the classics but have always come back to Little Women. I just feel a connection I guess. Not only that but it brought me some of my best friends, we met in High School brought together by a love of reading and we still are today! I have to go with Les Miserables. I think it influenced me to look deeper than the surface when dealing with people, especially the young people I work with at school. I also liked the look at good and evil and right and wrong. Of course, I love the musical and it has helped keep my love of the book alive. Good question! I'm going to go with Heart of Darkness with Joseph Conrad, which might seem like a weird choice, but it's the book that really helped me learn to love literature and understand what it means to analyze and discuss stories. I hated the book when I first read it, but now just love it to pieces. One of my first 'classics' was Pride and Prejudice (which is probably still my favorite book). It taught me that classics don't have to be dark or intimidating, but can actually be fun. Austen has a special gift with her witty reparteé between the characters. Such a complicated question! For a long, long time, MOLL FLANDERS was my favourite classic. I was amazed at how readable it was, and how funny. I read the whole thing in two sittings, as I found it impossible to tear myself away. I enjoyed it so much that I've been afraid to reread it in case I don't fall in love with it all over again. A few years after I read MF, NORTHANGER ABBEY came along and replaced it. I love the way Austen pokes fun at novels. Catherine is such a fun heroine: book-obsessed and inclined to wish herself into her favourite novels, but far too sensible to take any of the openings her friends provide. I'm actually rereading it right now (if one can call it rereading when one is listening to the book on audio) and hope to finish it during the read-a-thon. I think, however, that THE WOMAN IN WHITE now trumps both MF and NA. I, unlike many people, had difficulty connecting with it at first. It took me about two hundred and fifty pages to really engage with the story, but after that, I was hooked! I raced through it. Sinister counts! Madness! Complaining invalids! Mad rushing about! That book has got it all. My favourite classic is either Wuthering Heights or Jane Eyre (which I actually have in the fantastically beautiful edition pictured above). I just have a thing for the Brontë sisters. Their poetry as well. I read Wuthering Heights in German first, but I do think reading it in English ie. the original has a stronger impact. I can't actually quite put my finger on why I like them so much. I love the characters, incredibly strong, but often troubled women that are trying to find their way. How has it impacted my life? I'm not actually sure. I've always liked running through the heath in Denmark and watch a thunderstorm. Maybe in the way that I've started to try and photograph moody scenes like this. You have such a wonderful collection for book prizes! How can you possibly give them away??! Ok, to answer your question. My favorite (children's) classic would be Norman Lindsay's The Magic Pudding. I read the book when I participated in the NYRB reading challenge and I simply could not put it down. It's one of those books that would cause you tremendous embarrassment if you read it in a public place because you won't be able to stop yourself from roarin' out loud with the absurdity of everything that you read in each page. I loooove the fact that the book is divided into 'slices' not chapters (how ingenious). I adore the cloth bound books. I am working on reading my classics right now, so I have many to go through before I can say for sure what is my absolute favorite. But for right now my favorite is The Three Musketeers by Alexandre Dumas. In high school, I was introduced to Pride and Prejudice, and that has continued to be one of my favorite books of all time. However, I joined Daily Lit, and read the Three Musketeers a few months ago, and I really enjoyed that one too. A Tale of Two Cities had an interesting plot, but I'm not sure if that's because my English teacher broke it down very well, or if I actually enjoyed reading it. I should pull it out again to find out. People shake their heads at me, too; I, too, love the classics. In my case, I've been focusing on children's classics. So, for a favorite, I'll list my most recent children's classics read, Heidi. Wow. What a great story. For anyone who loves Sound of Music or Mary Poppins, I'd almost guarantee that Heidi would be a hit. Just don't make stories about people like Heidi who have that amazing spirit of optimism and healing that is like a balm to so many. I wonder why. Next, because of a Victorian Literature Class I took, is Jane Eyre. It taught me to stand up for my beliefs and keep going even though things look horrible because they will always work out in the end, even though they aren't always exactly what you expected. :) Plus I loved that she loved to read!! *happy sigh* I loooove the classics, and I could go on and on but this will do for now. This mini-challenge has made me so happy! :) Thank you! What a great question! My favorite classic is, without doubt, Pride and Prejudice; it's my favorite book in all the world. I first read it when I was 12 or so, and it has sparked my love of all things Regency and Victorian, as well as my passion for classic literature! It also has so much to say about family, irony, and love...it's just an amazing book, and I love it! That's a tough one, but I think I'm going to have to go with Charles Dickens' A Christmas Carol. It was one of the first "classics" I ever read (though I loved to watch the Flintstones' adaptation as a child every Christmas, if that counts XD), and it just really clicked for me. I love the spirits because I'm dorkish and into the whole paranormal thing (And Marley's tortured soul was delightful), and I'm just a sap for the warm and fuzzy ending that leaves the reader (aka me) with a feeling of hope. It shows that some people really can change and to never count someone out. It's like an after school special in literature-form. Plus, I've always heard (though I'm not sure if it's true) that Charles Dickens just pounded it out for the money, and that it wasn't something he really slaved over. That gives me some small flicker of hope, as an aspiring writer, that if something he wasn't all that concerned with could wind up being a great classic that'll be remembered forever, maybe something that I actually pour my heart into will be recieved in even 1/100th of the way A Christmas Carol was. So, I guess, it pushes my toward my dreams and goals, which is something I'd never really given that much thought to until now. I love Peter Pan. The story was always one of my favorites as a kid. I didn't read the actual novel until I was in my early twenties. Although I'm not crazy about the way femininity is presented in the story, I still love the imagination of the story. Tess of the d'Urbervilles, for sure. I used to say Pride & Prejudice but Tess has stuck with me since they very first time I've read it. I just loved the social commentary that Hardy places in his novel. To accuse a woman who was raped of asking for it seems horrendous to me, but that was reality back them and Hardy seems to very displeased with this notion. Tess also turned my perception of classics around. For me, Pride and Prejudice really opened my eyes to how amazing classic novels are. I'd never really thought about them until I was doing my GCSEs and my teacher brought out our copies of Pride and Prejudice. I was amazed by how something so 'old' could be so witty and entertaining. I was facinated by the ettiquette and customs, by Jane Austen's narration, by the short but well-made chapters. I thoroughly enjoyed it and I now own several copies of the book. From then on I gave many classics a chance to capture my attention - something I previously didn't do. Pride and Prejudice really expanded my library! I just finished re-reading Jane Eyre for the hundredth time (well, not really) and went on about it for 6 separate posts on my blog. Every time I read it, I get something new from it. It never gets old. I would say The Count of Monte Cristo, but Les Miserables is a close second. I like them for the godly messages they have in them (possibly hidden, but I think real nonetheless). Pride and Prejudice is definitely my favorite. I think it's hard for bookish girls to not relate`to Elizabeth, and while I know some people have a problem with Darcy, I absolutely love him! My favorite classic is Little Women. I love all the characters and their personalities, but I especially love the focus on family instead of war. It was one of my first aha moments in reading. I wans't just reading contemporary books or mysteries. I was reading literature and the here we are today... still reading. My favorite classic is North & South by Elizabeth Gaskell. I absolutely love all the characters and the mixture of class tension and romance...it's always reminded me of a Dickens + Austen combination. Mr. Thornton is also quite the dashing hero...and the BBC miniseries is one of the best! Crime and Punishment-it was the first classic I chose to read on my own as an adult (everything up to then was an assignment of some sort). I was challenging, but I stuck with it and was happy I did. I even went on to read more Russian classics, but C&P was always my favorite. I think that my favorite classic just might be Wuthering Heights. I cannot help but be completely wrapped up in the story. It's definitely not the world's best love story, but there's so much love to it. (When Heathcliff is begging Cathy to haunt him... just makes me tear up every time. It's so sweet and twisted. )Cathy and Heathcliff could have had such a beautiful, loving life together but Cathy's sudden brush with vanity and the material world took that all away. In fact, I would like to see a well-written "what if?" book in which they DO run off together... bet it wouldn't have been nearly so tragic! Although it's tempting to be all "OMG PRIDE AND PREJUDICE," I think I'm going to have to go with "The Secret Garden," by Frances Hodgson Burnett. I've loved it since I was old enough to read. At this point, my battered stained copy is like a personal friend. Plot-wise, the book has pretty much everything. Brat of a girl slowly becoming a decent human being? Yes. Pseudo-magic boy who can almost talk to animals? Check. Gorgeous descriptions of the English moor coming alive in spring? Definitely. And of course, mysteries in a potentially haunted mansion, down-to-earth servant girls who don't know how to be "proper," scary uncle/father figures who loom about in the background whilst slowly gaining your sympathy, and endless descriptions of crocuses coming to life. I can't even pick out which character I like best. Mary is, as mentioned, a brat of the highest order. Burnett happily writes along, describing her as all yellow and pinched and nasty-looking, so it's a relief when Mary finally starts to improve. You have to love a book where minor characters say things like, "God, I know we're supposed to feel bad for her because her parents are dead, but did you ever SEE such a repulsive little creature?" Oh yes. And of course there's Dickon, the kindhearted country boy who has tame fox kits as pets and who can call birds straight down from the trees. He can SUMMON ANIMALS. Guys, this is awesome. He sees beauty in everything, even nasty little pinched Mary, and more importantly sees their potential to become something wonderful. Loved him. The nineties-era movie did not do him justice. Hi, my favorite classic is The Red and the Black by Stendhal. I can remember I was 15 when I've read it at the very first time. And it's still fascinating for me the efforts what Julien makes to find his role in the society, and the tragic end of this whole construction by his feelings. It's the same topic about the young, intelligent, smart but sensitive men, like some of Balzac's novels, like Father Goriot, the difference is between Stendal's stroy and Balzac's one, that Julien falls and dies, he couldn't find his place in this world, but Eugene (Balzac's "hero"/ "anti-hero") could. Well, the (rhetorical) question is: which story is more sad? Little Women was always a favorite of mine growing up. I think I read it at least once a month. I went through 4 copies of the book, they kept wearing out from reading it so much. I really related to the character of Jo. Alice in Wonderland has been my favorite book since childhood. Have to agree with Kate above, I'm not one for nonsensical reads (cannot bear to read Dr. Seuss to my little one) but love both Alice in Wonderland and Through the Looking-Glass. Great mini-challenge; thanks! I have two favorite classics. The Adventures of Huckleberry Finn by Mark Twain and The Catcher in the Rye by J.D. Salinger. I read both of those books sometime in high school and they made reading classics seem a lot less intimidating. I would never read classics because, you know, classics are scary and hard to read, right? But reading those books opened a floodgate to books that I probably would never have read otherwise. A couple of other favorites are To Kill a Mockingbird and all of the Sherlock Holmes stories by Sir Arthur Conan Doyle. My mom introduced me to Wilkie Collins, via The Moonstone - which was her favorite book, but not my favorite book. I re-read The Woman in White every year or so, because I love it so. The Great Gatsby. Hands down. So beautiful and the story is kind of... haunting. It has definitely influenced the way I perceive love in life and in literature. Anne of Green Gables is my all-time favorite classic. I love the whole series! I love those cloth bound books and would love to own one or more of them. I will keep an eye out for them. Now for my favorite classic....this is an easy one for me. Little Women. I loved this book so much that as a child that I went around telling everyone my mother named me for Beth in the book..which sadly was news to my mother. She did not name me for Beth. A girl can dream, right? I still own several copies of the book and I love to revisit it. It still is just as magical for me now as it was the first time I read it. Middlemarch is definitely one of the best books I've ever read, and really blew me away with how well that particular era in England was portrayed, how well constructed it was as a novel and how much we can learn about the world and people from books like that! Now I see little bits of Middlemarch everywhere I look, in fiction and in life. My favorite classic is The Sound and the Fury by William Faulkner. I love how it's written from different perspectives. It really turned me onto other American classic authors like Hemingway and F. Scott Fitzgerald. It opened up a whole new world of literature for me. My favorite classics is actually the first book on your prize list "Little Women" I've always thought Jo was such a courageous no-nonsense character and lived by her own rules. And Margaret Mitchell? She is my literary best friend. Tough question. My current favorite is The Three Musketeers by Dumas. I grew up watching the cartoon version with dogs. I'm going to have to go with Winnie the Pooh! Those stories have become such a firmly entrenched part of my mind that I can't imagine never having read them! I find myself quoting Pooh and Piglet et al. constantly. Definitely Pride and Prejudice. I've read and enjoyed many classics, but Pride and Prejudice gave me a new appreciation for classic literature. It's a beautiful book and one of my absolute favorites. What a great mini-challenge! I'm a classics lover at heart, so I had a hard time picking just one that I love the most. So, I thought I'd focus on two that are less-well-known, but still fantastic. First, Precious Bane by Mary Webb. My sis-in-law gave me this after I'd had a hard break-up. It was just perfect - about a girl who struggles to accept herself because she has a hare-lip and how she falls in love with this man that she is certain will never love her in return. Fantastic story that every woman who's ever hated the way she looks should read. Second, Lorna Doone by R.D. Blackmore. Not sure why I picked this one up, but I just laughed my way through it! I never thought a classic could be that funny! And the story is pretty fantastic as well. Sorry to ramble so much. I just love classics. I need to read them more often. I'm going to have to cheat and say that my favourite is a tie between Charles Dickens' A Christmas Carol, which, I know is a short story, but I still love it and Oscar Wilde's The Picture of Dorian Gray. I grew up watching several adaptions of A Christmas Carol every year and first read the actual story when I was about nine. I have been rereading it pretty much every year ever since. I like that it takes time during my favourite season, but isn't all rainbows and butterflies and makes you think about yourself and your behaviour towards others. As for The Picture of Dorian Gray... Well, I've just been fascinated by the story ever since I first read it and I just love Oscar Wilde's style. I like how the three personas interact with each other and it's a great read, that, again, makes you think. I'm am a huge fan of so many classics and I'm constantly discovering new ones that I love. There are so many that have impacted me through the years, from A Moveable Feast (classics can be nonfiction?) to Catch-22 (classics can be hilarious?). New-to-me classics are constantly teaching me about previous cultures and how so many things haven't changed over the centuries. I'd have to pick A Tree Grows in Brooklyn as one of my absolute favorites. When I first read it I identified so much with Francie. She's a young girl with an absolute hunger for books. She wants to learn and achieve something in her life, even when everything is against her. It's a beautiful story about a family and the tough relationships within that unit. Francie's mother is such a strong woman and I was so inspired by her resilience. The diversity of the characters, from Francie's wayward aunt to her alcoholic father, provide such a vivid picture of her life. It remains my favorite coming-of-age story. Love your giveaway idea! Penguin classics make me drool. My favorite classic is Anne of Green Gables. I have fond memories of watching with my family on Sunday nights, and later reading though the series over summer breaks. At one point I owned the whole series given to me by a friend of my grandma's. I will always associate that sweet lady with this series. "...And Ladies of the Club" by Helen Hooven Santmyer is not necessarily a classic, but it's been one of my fav's for 25 years, so guess it qualifies as an oldie. At over 1400 pages, it takes a dedicated reader, but once you begin you become so engrossed in the world of the club members that you can't quit. My favorite classic is Little Women. It is such a wonderful story, happy and sad all in one. I first read it when I was 10 years old or so and it made me want sisters. (I have two brothers.) I've reread it several times over the years and it never loses its magic. Little Women. This book gave me a desperate desire to be Jo March, compelling lifelong interests in writing, Transcendentalism, and generally being a tomboy. Also, it gave me a lifelong fear of canning. I am not as big of a classic reader as I want to be but I am working on it. :) Without a doubt the best one I have read is To Catch A Mockingbird which I adored! I like the way Jane was so independent in her thinking in those times. She knew what she wanted and also had the sense of right and wrong. Her love had no bounds and she accepted Rochester when he least expected it. My favorite classics are Alice in Wonderland and Through the Looking Glass. I've always had a fascination with the idea of wonderland, a magical place where reality is slightly off and anything you imagine can become real. My favorite quote of all time is "Why, sometimes I've believed as many as six impossible things before breakfast." I love seeing the different renditions of this story over time through movies, tv shows, video games and stories. There are so many different ways to view the world of Wonderland and the magic that it holds. My absolute favourite classic is also my favourite book of all time: Pride and Prejudice. I read it when I was 14 for the first time and it made me want to read more classics. It also made me fall in love with Mr. Darcy and I've been crushing on him ever since (it's been 9 years). It definitely made me look at chicklit differently, I can see patterns Austen has in her books in contemporary lit. It's amazing and I try to read it at least once a year. Thanks so much for the mini-challenge! I love ranting about Pride and Prejudice and this gave me a chance without people rolling their eyes (well, hopefully..)! I think my favorite classic I have read would have to be Persuasion by Jane Austen although Bronte's Jane Eyre is a really close second. I just love the story lines, the sort of plain girl gets the guy sort of thing I guess. Great little contest..got my fingers crossed and hope I made it in time. War and Peace. Why? Because it's the book that got me into reading. I never read anything except sports stat books. After I left college I was unemployed so went to the library for something to do. For some reason I found this book and as it was big I figured it would kill some time. Three days later of non-stop reading it was finished. I became a "read-a-holic". This book also lead to me to another great passion of mine: Russia, Russian history and Russian Music. When I think about classics, I think about Pride & Prejudice and Sense and Sensibility. If my high school teacher reads this, she won't believe it. All this years later, I learned to appreciated her making us read them. We also compare the books and the movies as well. I learn a lot about Lit with these books. I addition to romance! Milton's Paradise Lost. It pretty much changed the way I look at theology, especially in respect to original sin and marriage. Plus, we get *the* story from the antagonists point of view. Runner up? Shakespeare's Hamlet. Ghosts! Murder! Gorgeous language! What more can you ask for? Can I go with a Children's classic as my favorite? Without a doubt my favorite would be James and the Giant Peach. This book is a wonderful tale of hope and adventure that has encouraged me growing up during some tumultuous circumstances at home. As a teacher I now relish the opportunities I get to share this classic the children I teach (both young and old)! To see a child's eyes light up with this tale is simply amazing! My favorite classic is definitely Oliver Twist by Charles Dickens. I've read it a few times and love it each time. Oh my goodness those are beautiful! My favourite classic of all time, and in my opinion the best book written, Anna Karenina by Leo Tolstoy. The book literarly changed my life and how I looked at things. I have proceeded to read Anna Karenina every year for almost 3 decades and in many languages. Anna Karina began my love of Russian Literature and my passion for studying Russian Foreign Policy in college and my desire to live there, which I did in the 80s. Thank you for this wonderful challenge and brilliant giveaway! If I was blessed enough to win, I would have to choose Jane Eyre, oh what a lovely books and a woman of such strong character! Finally someone who shares my love of classic books. Oh my favourite classic is definitely The Picture of Dorian Gray (it's also the first/only clothbound I've purchased so far...I'd love to add a second one!). When I first read it I was in highschool and it really inspired me to want to be a writer myself, the beautiful language of Oscar Wilde was what really hooked me and following that I read everything by him I could get my hands on, his poetry, his fairytales, his plays, etc. It will always have a special place in my heart. My Favorite is The Great Gatsby. It was the first time I remember reading a book for school that I was shocked by. I could not believe we were getting to read about those topics! As I was reading I could totally picture the story and it felt modern in a way. The story could have taken place any time in history with a few tweaks for technology or lack of. That book made me realize that if I just let myself get carried away in the story, I could enjoy the classics as much as anything that was written today. Those Penguin Books are amazing! I am going to have to start collecting! I think my favorite classic is "The Three Musketeers" by Alexandre Dumas. And neither "Pride & Prejudice" nor "Little Woman" (And those are the second & third on my list) has ever come close to toppling it off the list. I first read it as a 10 year old and the idea of having such great friends who would live & die for each other thrilled me to bits. And can I just take a minute to tell you how awesome those cloth bound book covers are? Thanks for hosting this mini challenge! I think my favorite classic would have to be To Kill A Mockingbird, which I read first in my eighth grade English class. It just hit me like a ton of bricks. I think part of why I loved it from the get-go was the fact that it was narrated by a young girl in her own distinct voice. I've re-read the novel several times since and have always found something new to enjoy. Another favorite of mine is Catch-22, which I read when I was in high school. The humor and cleverness in it is fantastic and I love that the whole book is a sort of puzzle - the reader has to work out the sequence of events for her- or himself. Well, I don't think the Book Depository delivers to the United States but I want to say that I love youre challenge and your blog! I LOVE the classics. I am making it a point this year to read at least twelve classics. It's hard to choose just one favorite. However, the classic that got me started loving them is 'The Pearl' by John Steinbeck. I read it in eighth grade and bawled at the ending. I so loved Steinbeck's style though and knew that I wanted to read many more classics. I think the classic that has had the biggest impact on me would have to be Dracula. I'm not much of a classics lover overall, mostly due to overkill on the part of a couple of terrible high school English teachers, but Dracula is one that I've loved since I first heard about it. After I read it, as a teen, I remember searching the library and my dad's old books looking for more information about Bram Stoker and the mythology of Dracula. Loved it! It definitely spurred my growing love of reading and it's still a favorite today. Ow, ow, ow, my head hurts from all the titles in my head shrieking, "Pick me! Pick me!" So many choices -- depending on mood and on memory (it is surprisingly difficult to remember on command). Little Women was on top of your list and is certainly a contender (although I confess a preference for Eight Cousins). And Sense and Sensibility is a prime favorite. But I'm going to say A Little Princess by F. H. Burnett for early influence because Sara just got right under my skin -- as did Becky. And I loved the descriptions of all of Emily's fabulous clothes. And the midnight feast and the transformation of the attic... So much magic intertwined with the reality. If asked in two hours I might have a different answer, but Sara Crewe still wouldn't be far from the top of the list. My favorite classic is Tale of Two Cities. I read it my sophomore year in high school and fell in love with Dickens. So much so, that I married a super distant relative of his. The book has everything: love (both requited and unrequited), war, loyalty, deceit, and even knitting. The end is the best, showing that even in his last moments, a man can redeem himself. It is never to late to change who you are as long as you are still breathing. I love Little Women. It is, hands down, my favorite book of all time. I particularly love Jo's spirit and her intensity. This book has been such a driving force behind my love for reading and writing. Jo March is truly inspirational that way. I love the themes of family and friendship and love in that story. It is just a wonderful book. I'd have to say The Great Gatsby - I first read it when I was 15 and it inspired me not just as a reader, but as a writer. I probably haven't read it for ten years now, but in November I was able to make it to New York to see Elevator Repair Service's "Gatz" - and by the end of the epic reading/performance of "The Great Gatsby" (8.5 hours including intermissions) I was in tears, because it reminded me of two things - how much the book had meant to me and still does and how transformational theatre can be. Anne of Green Gables is my favorite, hands down. I love her bubbly personality, her passion for life and her innate ability to see the positive side of every troublesome position she gets herself into! I own the books, the movies, acted in the plays in high school and I even have the original first edition of Anne of Green Gables (1908) and Anne of Avonlea (1909) I want to win this so bad because I have such a respect for the classics, these beautiful books would be an amazing addition to my collection! I adore Little Women. As a child it was so neat to read about a book of girls who were strong and capable. They liked pretty things but got their hands dirty when need be. And of course Jo loved to read! I think my favorite classic might be "Tom Sawyer." I used to think I could get away with some of the stuff he did, like sneaking out and goofing off in the middle of the night, until I looked out the window I would have to get of...Kind of thwarted my plans. But I still managed to have adventures any ways. I'm part of the Reading Team in Mineola with Chessie Kat. I am part of the Mineola Memorial Library team reading with Chessie the library cat! We just started the Read-a-thon because of time zones differences, and library hours. My name is Suzanne and my all-time favorite classic is Little Women! My mother read this to me as a young girl when I was about 8 years old. When my cat had kittens, I even named them after the March sisters! I cried my eyes out when Beth died :( I really like Jo and related to the way she loved books. The sister's quest to be "good" like Christian in Pilgrim's Progress, led my to read Bunyan's book too! I have reread "Little Women" several times throughout my life and to my own daughters. I look forward to reading it again with my grandchildren some day. Jane Eyre is by far my favourite classic. A couple years ago to get over my fear of classics (yes, I thought they'd be scary and difficult to get through), I randomly picked up a bunch of classics to read. Jane Austen was in there, but so was Charlotte Bronte. Although I enjoyed the other books, I love Jane Eyre. Jane is such an amazing character. I love her strength, her individualism and her clever wit. Jane Eyre made me realize that classics are not in fact scary, but can be quite wonderful. I mean, there's a reason they're classics. One of the classics I picked for the read-a-thon is Great Expectations, which I see is on your list of giveaways! My favorite classic is To Kill A Mockingbird. I didn't even read it until last year and I actually started it during the Read-a-thon. I absolutely fell in love with the book and the characters. I now recommend it to anyone who hasn't read it. What a great idea for a giveaway, these books are gorgeous! My favourite, I think, is the Iliad. Aside from the plot itself and an interest in myth and archaeology in general, I love the sheer poetric of the homeric epithets, and the inspirations for and impact on later literary traditions it provided. So me personally, no direct touching point apart from enjoyment - although the singer at an exhibition about Homer reciting parts of the Iliad in a supposedly similar style was very very moving. That's actually a really hard question for me. I've never been good at picking out favorites! So instead I'll address the second part of the question. The summer before my junior year of high school, we had several required readings. Two, The Grapes of Wrath and The House of the Spirits really impacted my views of the world. To the best of my recollection, they were the first two books that really opened my eyes to a world beyond my own. From The Grapes of Wrath I not only learned about difficult days in US history, but about social injustice. It was a book that made me think--and sometimes made me angry. From House of the Spirits (which isn't really a classic yet, but...) I really got my first glimpse of the impact--for better or worse--a more powerful nation can have when they choose to interfere with a smaller nation. I began to understand the horrors of what life under a dictatorship can truly be like. Both of these books have definitely colored my views of the world and had a role in shaping my values. I grew up reading the classics, so this is hard to pick. So, I will have to go with an old favorite of mine which is Jane Eyre. I've been told by friends that my character reminds them of her; I can't complain about that! I first met Jane back when I was 12 and I love how she has grown with me, even when I'm no longer an ingenue. my favorite classic is Jane Eyre :) Its an amazing story of love and strength. I didnt know anything about it so I was really drawn into the emotional twists and turns and cried at the end. What I took from the book is the strength in just being yourself. "Plain" Janes are not so plain at all! I am just getting back into reading classics again. But I think my favourite is David COpperfield. Mainly because I just love the edition I have. It is small, handboud, leather book. It was my mums when she was at school, but belonged to her mum before that! Today I'm going to go with The Moonstone by Wilkie Collins. It's so unique with the multiple narrators. The plot is complex without being super confusing. The characters are freaking wonderful. If you haven't read this, you really should! Great idea Allie. You sure do love the Penguin classics. I think I'm going to answer pretty obviously here: The Scarlet Letter. I mean, I did name my blog after it. I think that rereading Hawthorne in college was when I realized that even if I thought something was boring and stodgy in high school, it might have some actual value that I just wasn't ready to recognize. I reread the book again when I was learning about literary theory and psychoanalytic criticism, which ended up being the inspiration for me to go to graduate school. With those new perspectives, the book came alive for me all over again. I read it twice in graduate school, and again, it was a whole new book, and teaching it made me love it even more (even if my students didn't all love it). The book also is symbolic for me of the multiplicity of meaning, which is one of the things that I love so much about language and the study of literature. Reductive teaching of the novel acts like the scarlet A that Hester wears is only one thing, when in actuality, you could write a book about the multiple meanings of the A. I find that freeing. I have to go with Anne of Green Gables. I always felt as though Anne and I were kindred spirits, both of us lost in our daydreams and emotional. She taught me that it's okay to be different and be proud of our big personalities. This is my first visit to your blog, and I must say I'll be coming back. A lot of book blogs speak of works that are unavailable to me due to logistic issues :-), so I'm always on the look-out for a good classics blog. Also, I'm really fond of the green background you're currently using. As for the answer to the challenge question: for the longest time my favourite classic has been A Hero of Our Time by M. Lermontov, but recently I've switched to a less dramatic/ angst-induced choice and stand strongly behind Pride & Prejudice. I'm sure as I read more classics (I read a lot, but am nowhere near being well-read), this will change once more. Definitely Alice in Wonderland. I like it much better than the Disney version! (Although I do like the Disney version.) I'm hoping to get that one if I win! Jane Eyre is my favorite classic, not to mention my favorite book, of all time. I love how Jane is a heroine not because of how she looks, or because Rochester loves her, or because of her family, but because she's a person of integrity. My favorite classic is Jane Eyre. I just love Jane's pluck and the Gothic elements are wonderfully done. I also, however, love anything by L.M. Montgomery...those were my favorite books growing up, and I'd call them classic, although they may not be classics in the normal sense of the word. Wuthering Heights is my favorite classic and I'm read it three times when in college. I love the romantic story and the mystery of it all. I was fascinated by it and would love for there to be a sequel to it because it was so good. This kind of story impacts my life because in seeing such a great story I judge other books to the same standard as this one. If it's not as good I don't read it because it doesn't have that wonderful romantic and mysterious storyline. Wow, those Penguin books are great and was never aware that there was even such a thing as cloth bound books. I'll have to look into that some more. I'd love to have a collection of them too! This is my first time doing the Read-a-Thon (since I just joined a book blog a few months ago) and I'm so excited to check out other blogs hosting challenges and meet other book bloggers! Watership Down has been one of my favorite novels since I was in 4th grade, and I doubt that will change anytime what. I recently read Jane Eyre (either I'd never read it or it was in the dinosaur age of high school when I did) and, I swear, it just goes to show that there's a reason some books are classics. From the mystery in the house, to the love, to the "will they ever get together and live happily ever after?". I read at every opportunity until it was finished! Gaaah! I don't know what to pick! I really loved To Kill a Mockingbird when I read it in school. Ditto for Beloved by Toni Morrison. But maybe my favorite is Pride and Prejudice. Hm. Favorite classic? Tom Sawyer, I think, for sheer unbridled glee! It always cracks me up. Also, Black Beauty. Though I have almost never liked any other talking-animal book. I don't think either has impacted my life, per se, but I read both over and over as a kid, and they make me smile to think about. If scifi counts as "classic," then Ender's Game, by Orson Scott Card, which definitely had an impact. Stuck with me, and still speaks to my teenage awkward geekiness, which you'd think I'd have gotten over by 30ish. It's hard to choose one classic - or even one author - so I am going to lame out a bit here and say Jane Austen. I think "Pride & Prejudice" tops my list of her books, but it's hard to tell whether that's all Austen or partly Colin Firth's doing.... in any event, I love Austen for helping me to realize that a book can be a "classic", can have literary value, can have well-drawn characters, and can be funny at the same time. She's also a great example of how literature that might be termed "small" in scope (taking place mostly around the home) has value - it's not only literature about guys & war that we should be reading. great question! My favorite is Little Women. When I was a kid all I wanted to read was Sweet Valley and Judy Blume. My 6th grade teacher gave me a copy of Little Women to try - it was the first classic I loved. 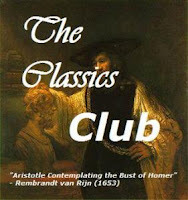 I consider myself to be somewhat "classics challeneged." I particularly have a hard time with Victorian literature, but I worked through Elizabeth Gaskell's North and South during the winter, and I'm currently working (very slowly) on A Tale of Two Cities. My all-time favorite classic, though, is To Kill a Mockingbird. I first read it as a high school senior, and it forever impacted my view of the world, giving me a strong sense of social justice. Last summer, in honor of the 50th anniversary of the book, I re-read it and found that I loved it even more. I love A Tale of Two Cities. It's an amazing read. It has memorable characters and is set in one of the most turbulent times in history. Sydney Carton is one of the most selfless characters in all of literature, and he has the best final lines of all time. Wow, there are so many comments here. My favorite classic is Don Quixote. This may sound silly, but the reason I like it is because it's SO OLD, yet very funny, and it made me realize that though it evolves dramatically, humor is a universal part of the human experience. History teaches us so much about life during all time periods, but I don't think we often imagine 15th-century (and older) people as folks who just needed a good laugh now and then. My favorite is probably Little Women. I wanted to strive to be so good heh although I don't think I'm quite as good as the girls in the book. The cloth bounds are sooo pretty! I love The House of Mirth by Edith Warton. I've probably read it a dozen times. The story stays with me. I'm a sucker for unrequited love. My favorite classic - The Count of Monte Cristo. Love that book! Action, adventure, romance, it's got it all. Though it's not yet 100 years old, I consider THE GREAT GATSBY a true classic, and it has been my absolute favorite since the first chapter of my first reading in sophomore English class. And then, adding to my immense love of the story and my great affection for Gatsby the character, my fondness for the book increased exponentially by seeing my favorite actor Robert Redford play the eponymous role in the film version. It has forever been the standard of literature for me, and of movies, as well. My romantic little teenage heart has never been the same! I have many favorite's but I am going to have to say "Sense & Sensibility". I have always been a hopeless romantic ever sense I was a little girl. I started reading at an early age, in many ways as an escape. I have always been in love with love stories and happy ending's. Sense & Sensibility was one of the first books I read that captured my heart. I remember being elated when the movie came out as well. This brings back memories so I think I will have to purchase this classic for my nook:-) Happy reading everyone! 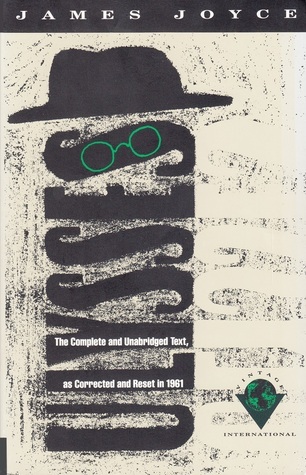 My favorite classic is Crime & Punishment by Fyodor Dostoevsky. It's such an intense, amazing book. The moral dilemmas experienced by Romanovich or fascinating as is the way he thinks. He has an ability to justify anything he does, it seems. Crime & Punishment got me interested in the criminal justice system and the law. Several years later I became a prosecutor, a fantastic job, but very different than I expected. I'm going to go with the first one that comes to mind and that is Little Women by Louisa May Alcott. I read that book so many times as a young girl, into my teens, and into adulthood. When I was in fifth grade, we had to dress up as a literary character and do an oral report of that book, and I dressed up as Jo. My favorite episode of Friends is the one where they talk about "freezer books", of which LW is one. Even one of my preferred readathon snacks is something I picked up from Jo in LW (apples and novels - how well they go together!). Little Women is probably one of the very first classics I loved and it remains endearing to me to this day. I think that Harry Potter will eventually be considered a classic, so I'd like to choose that series. It's the first series the brought me from middle grade, easy reading to big plot lines. It spanned so many years of my life that I can't imagine it without. Hi Allie -- Great mini-challenge! This is a super-hard question. I've been enjoying classics since I was 16 years old -- more than half my lifetime ago -- and I have several that I could think of as my "favorite." So, I need to choose two. My favorite "modern classic" is To Kill a Mockingbird, because it seems to me very close to perfect, and teaches us to think of other people without being preachy. When people ask, "What's the one book you think everyone should read?" Mockingbird is my answer. I only read it for the first time 3 or 4 years ago, and have read/listened to it three times already. Thanks for this challenge and the wonderful prize choices! And happy Read-a-Thon to you! For me it would be The Witch, The Lion and The Wardrobe. I was engrossed with the story from the very first time that I read it. It is one of the few books that I have enjoyed reading over and over again. I love your cloth bound books-that is a beautiful collection. Pride & Prejudice by Jane Austen, 100%. Every time I run across a copy, despite having multiples already, I feel myself grabbing it off the shelf and adding it to my collection. I figure one day I will have a whole shelf of only copies of Pride & Prejudice. Furthermore, anything related I find myself enthralled with - Pride & Prejudice & Zombies, Bridget Jones, Mr. Darcy Vampyre ... the list is endless. If I was stranded on a deserted island and could only take one book ... Pride & Prejudice would be it.